We’re thrilled to see all the excitement from the gaming media and the Rogue Wizards Kickstarter community. We couldn’t have gotten this far without the help and support of fans. Thank you. As Rogue Wizards moves forward, we feel it’s important to share news, updates, and answer any questions. Have a specific question? Send us a message or leave a comment through the Kickstarter page. Take a look at some of the outstanding press the game has received. For our first update we wanted to show you the brand new cosmic Singularity spell. Singularity is acquired once your Wizard reaches a higher level in Cosmic Magic, and is a powerful spell to have at your disposal. Casting this spell on any visible location in the world opens up a portal to the cosmos and summons a cosmic singularity. Once it arrives, the massive gravity of the singularity will pull and deform the landscape around it, after which cosmic rays emerge attaching themselves to nearby targets and then pull them inside. Should the target survive, Singularity relocates the target and nearby enemies, which offers several key gameplay advantages. With Singularity, players can push enemies away when they get too close for comfort, or pull them closer before landing a devastating blow at close range. Since Singularity also groups enemies together, it also works great as a set up for powerful area-of-affect attacks. 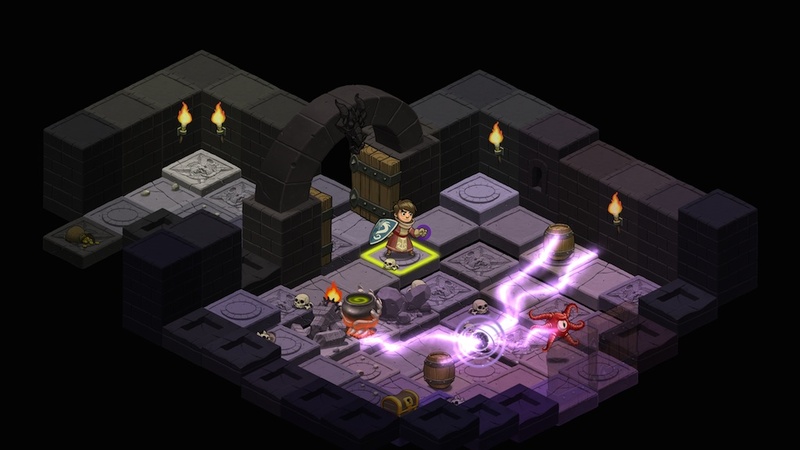 October 13, 2014 in Design, Programming, Rogue Wizards.